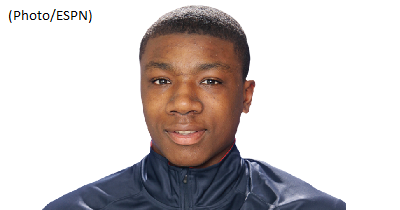 The already interesting recruitment of Thomas Bryant just got a whole lot more fascinating. The 6-foot-10 big man from Huntington (W.V) Prep will visit Indiana this weekend for the Hoosiers’ game against Michigan State on Saturday. And with the NCAA penalties levied against Syracuse, the Orange cannot add anyone who hasn’t already signed a National Letter of Intent. 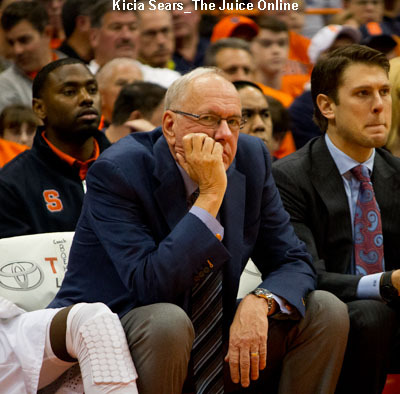 Syracuse already has a four-man class signed for 2015-16. “That means Syracuse’s recruitment of Thomas Bryant, a highly-regarded player in the 2015 class, is all but over,” according to Mike Waters of Syracuse.com. Syracuse-bound Malachi Richardson scored a game-high 16 points, hitting four 3-pointers, and Christian Ford added 13 to lead second-seeded Trenton Catholic, No. 7 in the NJ.com Top 20, to an 82-38 victory over 15th-seeded Mater Dei in the first round of the South Jersey, Non-Public B tournament in Hamilton. Murray, a 6’4″ point guard from Kitchener, Ontario, has raised eyebrows with a complete game on both sides of the ball that has drawn comparisons to a young Jason Kidd. The 18-year-old’s athleticism and length, combined with his ability to shrug off defenders has opened the eyes of recruiters from Syracuse and Louisville. Several elite prospects have skipped a grade of high school to graduate early and join the college ranks sooner, and Murray could definitely follow suit as Wiggins once did. The loss of scholarships will certainly impact Syracuse recruiting, but will do so in the best possible way from the Orange’s perspective. 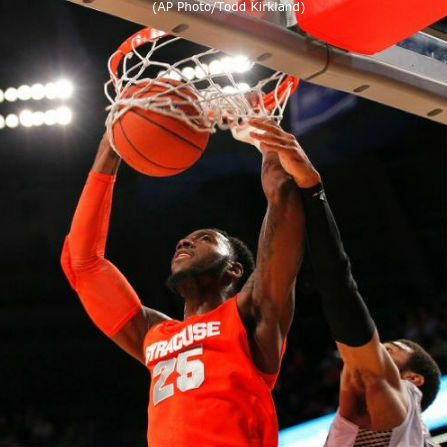 The ruling indicates that Syracuse must start their loss of scholarships next season, but can push it to the 2016-17 season of they have scholarship offers already executed. Given that there are four players signed and an offer to Thomas Bryant has already been extended, the 12 scholarships losses over four years will begin in the 2016 recruiting cycle.